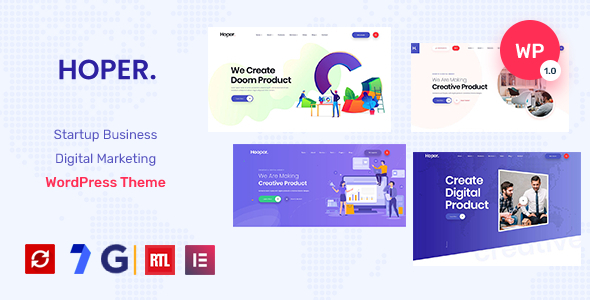 Hoper – Startup Business and Digital Marketing WordPress Theme is perfect for Startup, Business, Marketing, Business Agency, Consulting ,Digital Agencies &s; Marketing. This THEME will help you to present your business &s; marketing agency in more powerful and helpful way to UNDERSTAND your AUDIANCE about your business. Note:Demo images are not included in main downloadable file. Demo image used only for preview purpose. but included documentation file for full instruction to using the theme.